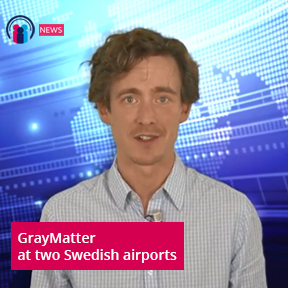 GrayMatter’s recent customer acquisition, Swedavia, has been showcased in Parking Network weekly news. The news telecast mentions the scope of the project including the proposed implementation of GrayMatter’s Car Park Revenue Management (CPRM) solution across 22 car parks under the purview of Swedavia. Parking Network is a global community connecting parking professionals and providing information on the latest developments in the parking industry. This includes daily updated news, product showcases, webinars, blogs, tenders, upcoming events and many more.